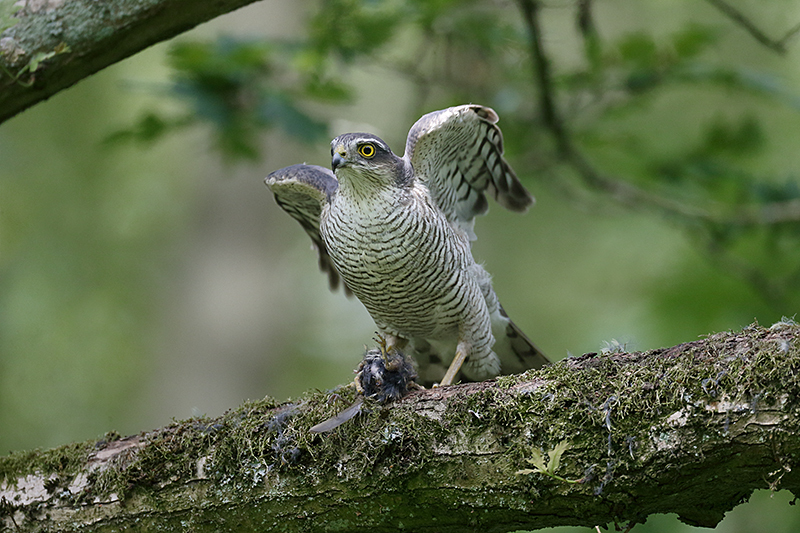 A second before this picture was taken there was a male Sparrowhawk sitting on this branch with the prey item. This female has just landed pushing the male off and grabbing the food. She then returns to the nest and the male goes off hunting again. Unfortunately they did not have a low, regular perch for this exchange. 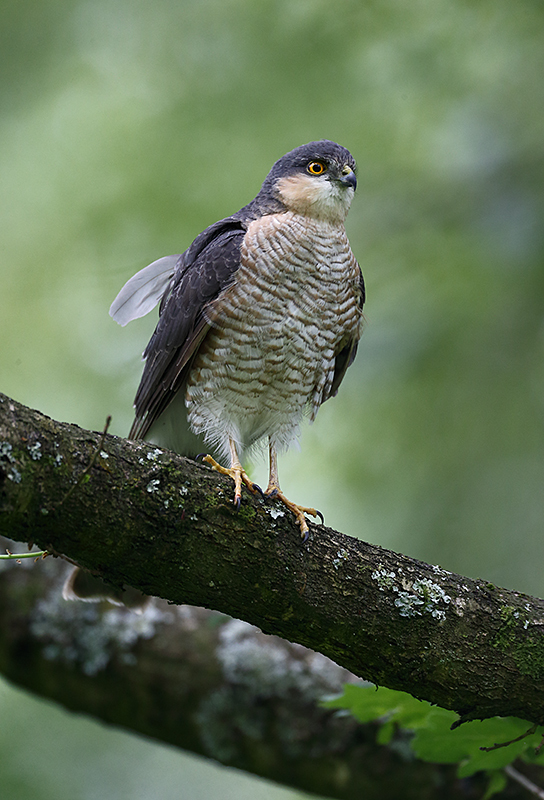 The male would land and call the female to him from a variety of perches, all high up in the trees. So despite many days waiting in a hide, this was the only occasion I got pictures. This is the male in the same tree resting after passing over the food. Both pictures taken with a Canon EOS 1dx. 800mm F5.6 lens. The male 1600 iso, female 3200 iso.